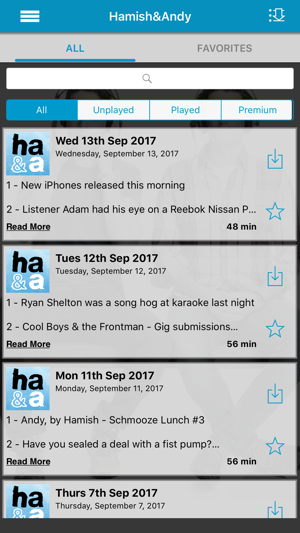 The easiest way to access the Hamish & Andy show EVER is through this app! 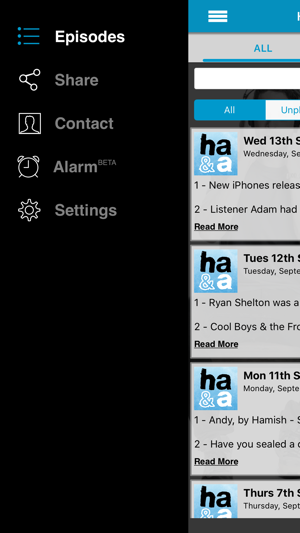 Corrected issues with some users unable to access premium content when signed in. 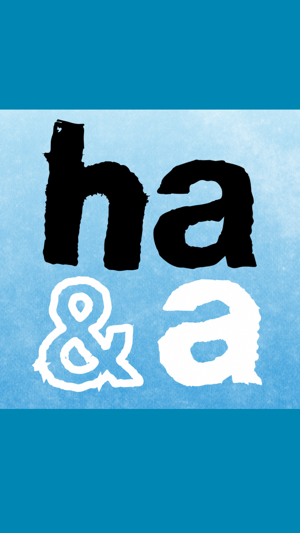 First of all-- the content of this app, H&A's show, is as funny as it gets.... I'm so glad to have all these podcasts available. The app, however, is crap. Absolutely terrible. It's impossible to play an episode.... 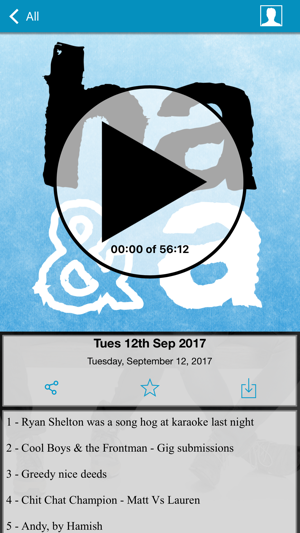 I have to press play, wait, play an old episode to get the app working again, then try playing the new one again.... close the app and restart, then maybe it will work. 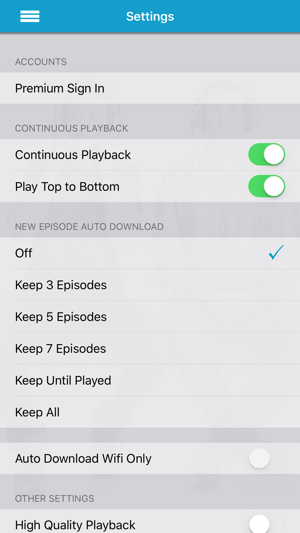 "Continuous Playback" works maybe once every 7 or 8 tries, otherwise it just sits there beeping at me while it "loads" indefinitely between episodes. I can't use this app while driving anymore because I have to spend so much time just trying to get it to play. NOTE: I'm in the US, streaming episodes from 2006. Maybe it's better in Australia with newer episodes.... For me it's a tremendous hassle, and updates haven't fixed anything. I love you guys, keep up the great work and if Jack chirps up now and again, so be it. PS-I'm on board with the new format! Anything to keep getting an Oz fix!! !